A comprehensive entry is the ideal way to present your company to prospective customers. 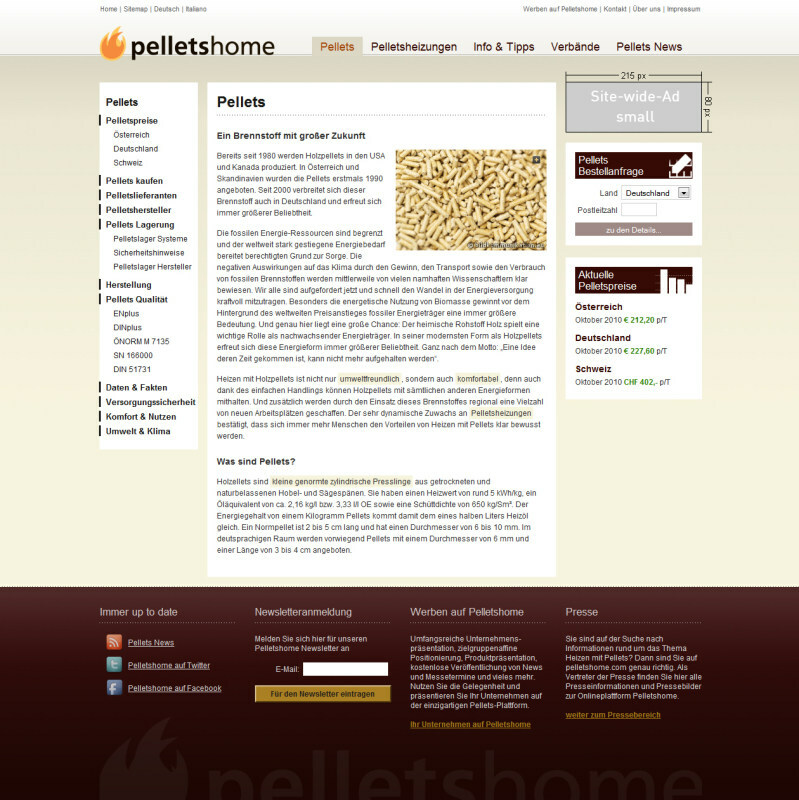 Whether pellet manufacturer or pellet dealer, you can present your products and capitalize on sales inquiries. Whether stove or boiler manufacturer you can present your company and products in detail, with brochure downloads and contact facilities. 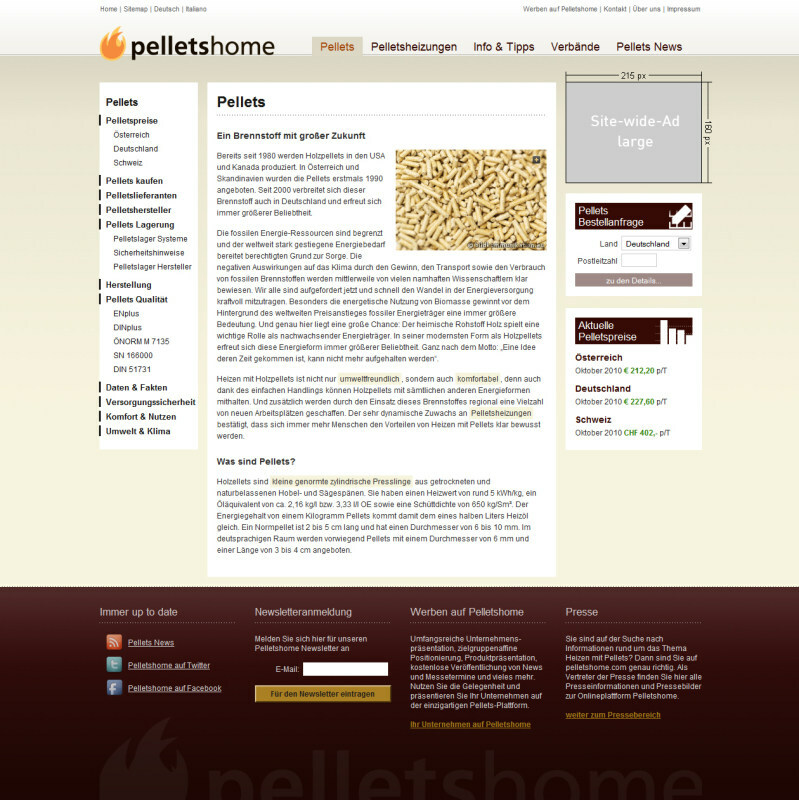 Send us your company news, product news and press releases; we will publish these for free in Pellets News and in our Pelletshome Newsletter. In addition to company entries in the respective categories (Pellet supplier, Pellet manufacturer, Boiler manufacturer, Stove manufacturer, etc.) 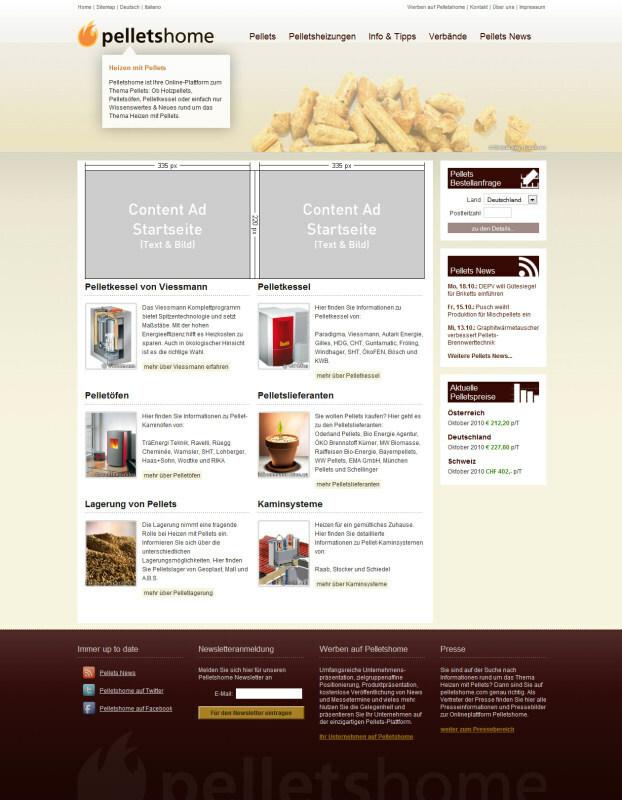 classical types of online advertizing are also available. Three different alternatives are offered from which it is possible to book packages with 10,000 (ad cover page) or 100,000 ad views (site-wide ad small and large) respectively.